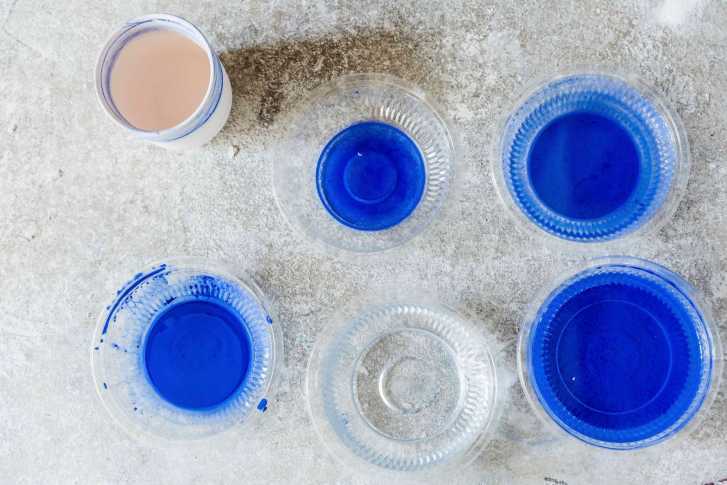 An experiment with the cobalt blue that has been in use for classic stamped decors for centuries. 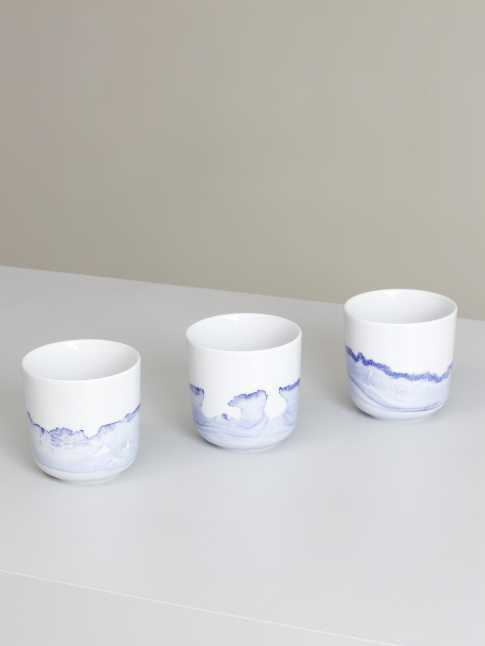 By dripping porcelain pieces -cups, plates and vases- with cobalt, and playing with diluting and evaporation processes, various appearances of water movement are captured. 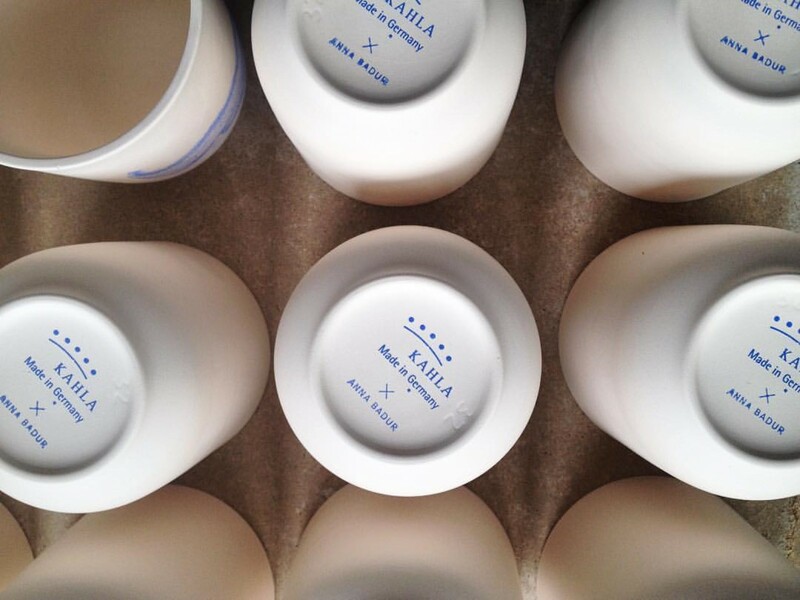 Each piece of the series, created with Kahla / Thüringen Porzellan, is unique. Anna Badur is an independent designer based in Berlin. 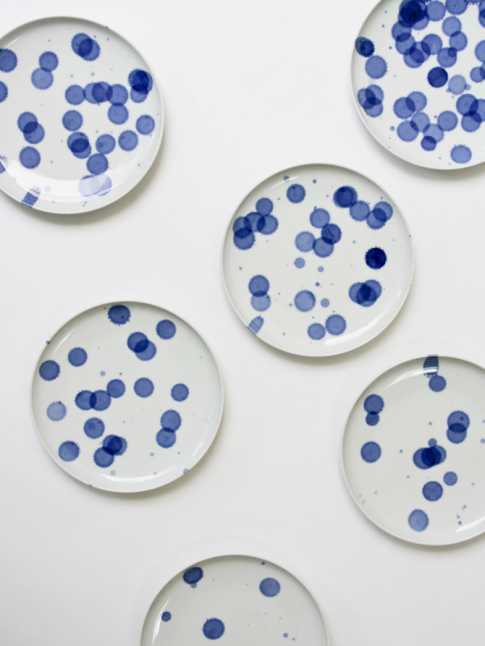 She studied contextual design at the Design Academy Eindhoven, where she graduated in 2012. 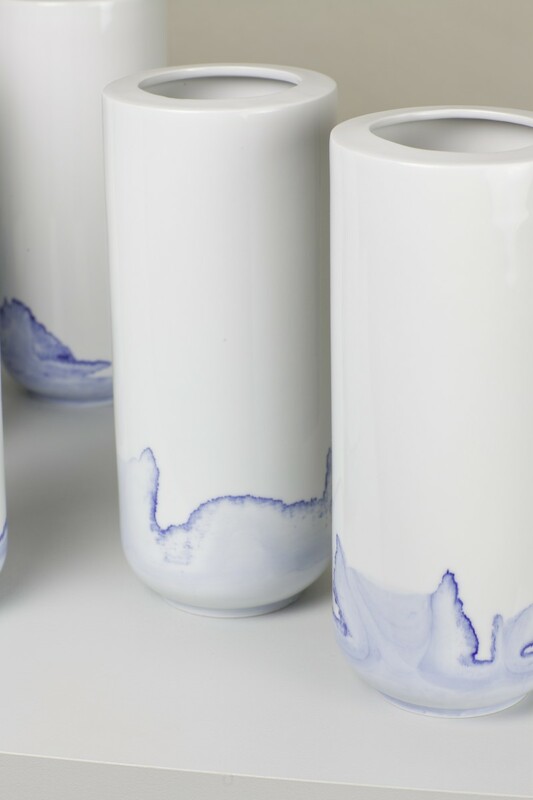 She currently also works as an assistant at the department for Industrial Design of the Braunschweig University of Arts. Her work is driven by a passion for materials and an experimental trial-and-error approach, in which the end result is directly determined by the process, and never known in advance. 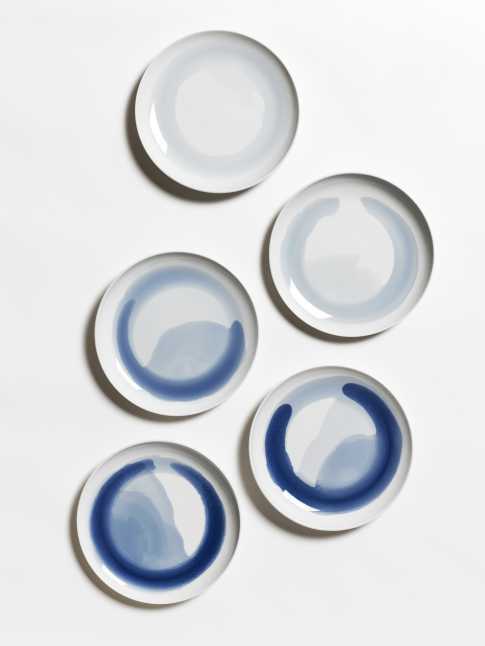 The Blue Sunday tableware collection, on which she reveals new variations together with other porcelain pieces at the festival, is typical for that approach.